are well smudged from a trek into the yard. so sensibility was left sitting by the back door. I know the planet is changing. with the unending labor pains and toll that humans are exacting. yes true to form, the barometer has shifted. I know that the budding forsythia and quince need more cold. Fools!” They chime in with the daffodils. and the dark cold mud pressed between my toes. 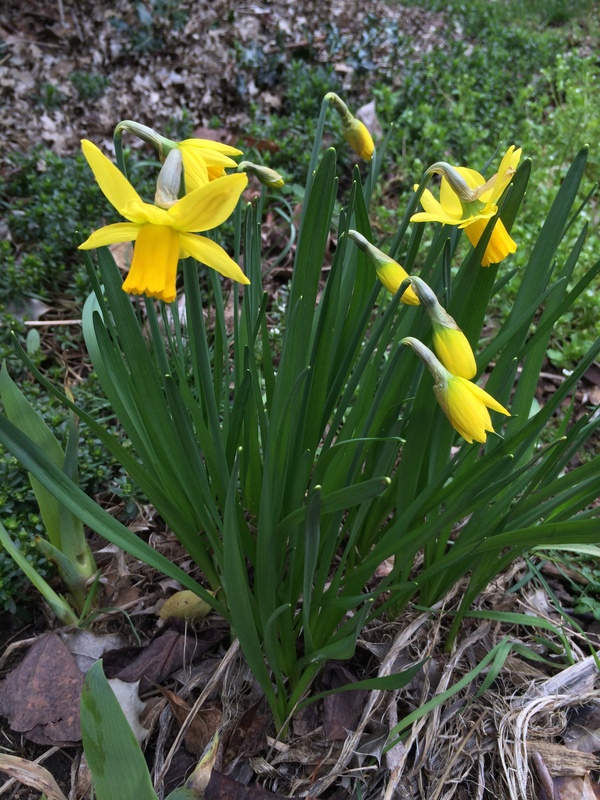 This entry was posted in Poetry (matters), Through My Lens, Written by Herself and tagged cycles, daffodils, February, flowers, Original Poetry, seasons, Springtime. Bookmark the permalink. I thought of your piece here and suddenly I was sloshing barefoot through endless fields of soggy grass, arms akimbo, shouting with joy. Thank you for this! I can see the little girl and her brother having their way with the weather – as well as your heart. I can also see you being in joy! Your comments mean so much to me. I apologize for not always responding more quickly. I get a lot of crazy spam on my web site, and sometimes I’ll let a couple weeks pass by before coming through the backdoor of the site to clean house. That’s when I find your wise notes: treasures to this writer who is very grateful to recieve your thoughts and feedback.